Solar LED Rope Lighting is ideal for lining buildings, walkways, windows, trees, gazebos, architectural details, stairs, deck railings, patios, boats and any other outdoor object you can think of. 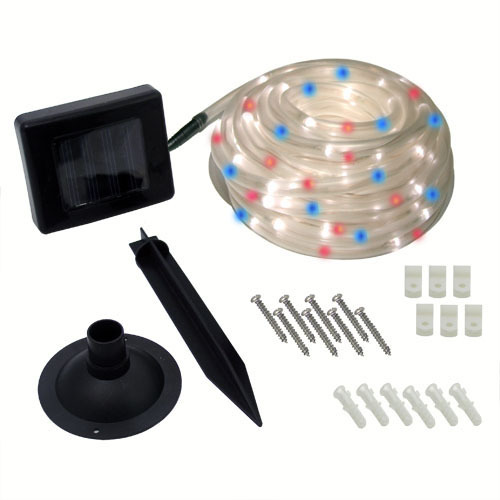 Using sunlight for power, solar rope lights eliminate electrical bills by harnessing the sun’s power. 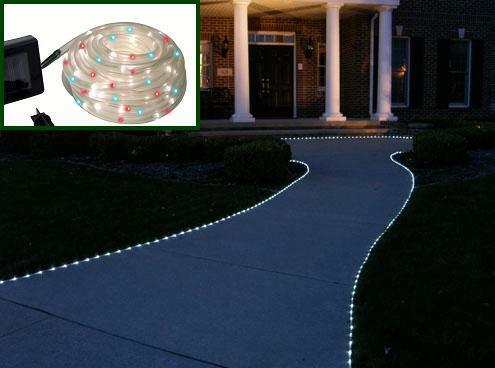 Solar LED Rope Lights can be placed practically anywhere without messy wires or the need for electrical outlets. The rope lights will stay illuminated for 10-16 hours depending on charging conditions, and turn on/off automatically via the built in light sensor. 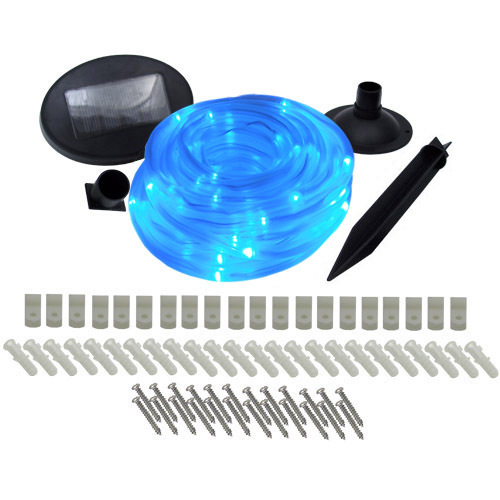 Sets consist of 100 extremely bright LED lights that will make a definite nighttime statement, and are rated at over 100,000 hours of life. 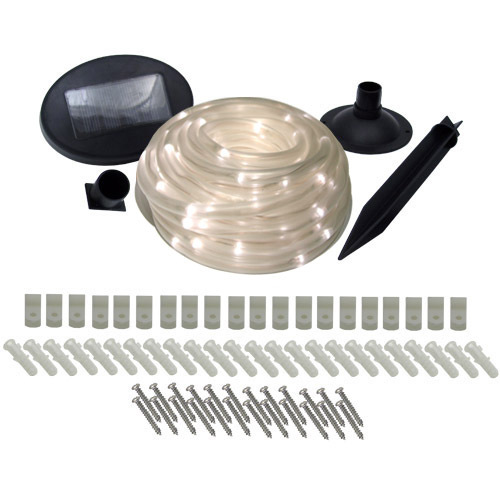 Includes Rope Light String, Rechargeable Ni-MH Batteries, Solar Cell/Electronics Box, Mounting Brackets and Instruction Manual.